Performative inquiry is a way of being in inquiry which attends to the individual moments emerging from performative encounters, calling upon our attention to what matters through reflection (Fels, 2010; 2012; 2014). In this paper, I engage in performative inquiry to explore my identities through experiencing different places of Canada and practicing visual art. Three key moments occur during the performative explorations, which embodies new possible ways of understanding my struggles with my pedagogical identity as a Chinese studying and teaching art at Canadian postsecondary institutions and opening up a new space to envision art education future. 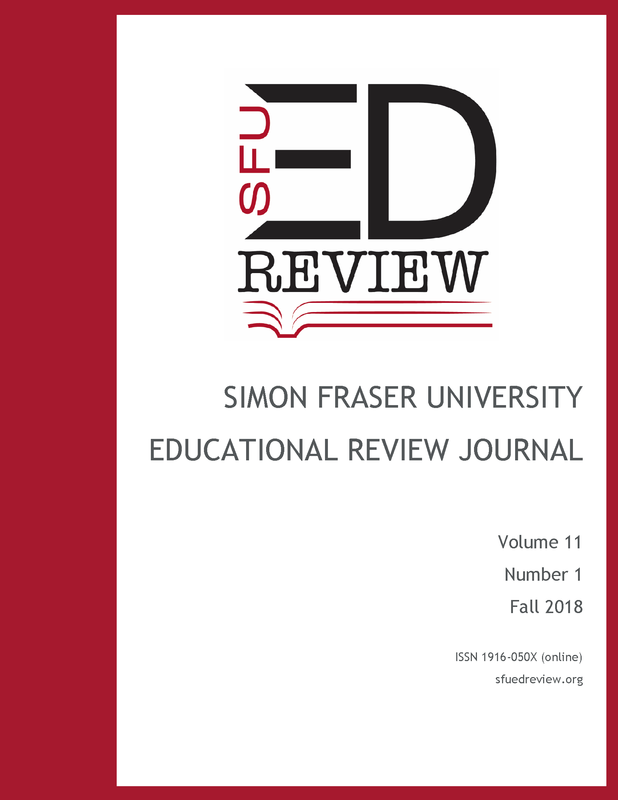 The copyright for content in SFU Educational Review is retained by the author(s), with first publication rights granted to the SFU Educational Review. By virtue of the open access policy of SFU Educational Review, content may be used with proper attribution (to both the author and SFU Educational Review) for educational and other non-commercial use. All contributors to the SFU Educational Review are required to sign an author contract.